You might know Buffalo from the number of optical drives it releases every now and then. Buffalo, a Japanese-based company, is about to expand into another product that may not sound so special at first. 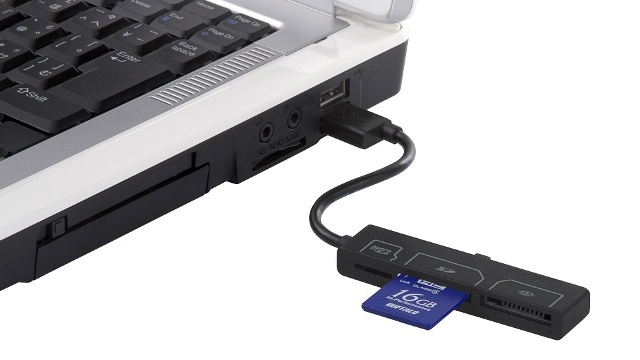 But since it’s to be expected that the Japanese are meticulous and pay careful attention to detail, Buffalo’s new USB connected Card Reader should be another welcome product to have in handy, especially if you’re the type who is constantly transferring image or video files from memory cards to your computer. Buffalo’s new USB Connected SD Card Reader has been manufactured with some particular customer types in mind. The first type would be the customer who hasn’t upgraded to a laptop with a built-in SD card reader. The second type would be the customer who needs to transfer files from several SD cards to one computer at the same time so as to cut down the waiting time for image transfer. There are definitely other different types, but those two seem to be the most affected by the release of a product like Buffalo’s. The BSCR16UD2 series of card reader from Buffalo is fairly impressive in terms of specifications. It is compatible with 45 different kinds of memory cards, so the chances of your memory card not fitting into the BSCR16UD2 is very small. It’s compatible with both Windows and Mac, so you don’t have to worry about any bias for one platform over the other. And perhaps, the BSCR16UD2’s most unique feature of all is its Docchimo USB connector. 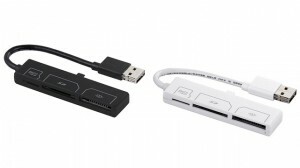 This kind of USB connector allows for the complete disregard of the momentary dilemmas of which way is up. You’re familiar with the situation. You try to plug in a USB device into the connector sight unseen, only to find out that you’ve put it in in the wrong way. With Buffalo’s USB Connected Card Reader, there’s none of that type of frustration around. The card reader’s Docchimo connector allows the USB connector to fit into any USB port sight unseen. How? If you were to take a look at the tines of each end of the BSCR16UD2’s USB cable. You would quickly notice that it has a completely different layout, one that is able to adjust itself to the USB host port and adapt to the form needed to be able to be plugged in successfully. The Buffalo BSCR16UD2 retails for about $13. This entry was posted in Buffalo Technology and tagged BSCR16UD2, Buffalo Technology, Card Reader, USB card reader. Bookmark the permalink.